HotJar, similar to Google Analytics, is a means to find out more about those who visit your website. There is a paid version available but in this article, we will focus on the free version. It lets you see how people are using your site. This makes it a good accompaniment to Google Analytics, as it gives you extra data on how well your site is performing. 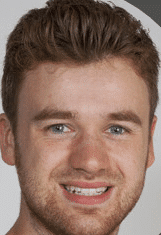 If you haven’t read Daisy’s article on how to set up Google Analytics, be sure to take a look before you set up HotJar. 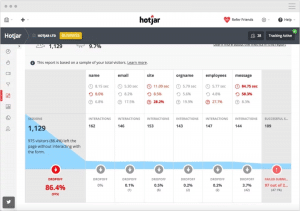 In HotJar, you will collect four types of data. Today, we’re going to look at the three I find most useful, then explain how you can set it up. 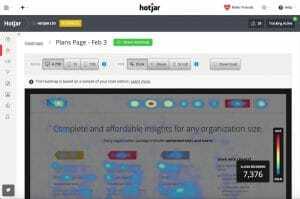 There are three different types of heatmap you can get with HotJar, but the basic purpose of this data is to show you where people’s eyes are looking when they see your website. The first type, Click, shows you where people are clicking on your pages. Quite often, I find people trying to click on something (often an image) that doesn’t have a link attached to it. I can use this data to add a link to that image and send people to another part of the site. Move heatmaps lets you see where people are moving their mouse as they look at your page. The user’s eyes will generally follow their mouse, so you can see what parts of the page are grabbing their attention. The Scroll type shows you how far people will scroll down your page. One useful part of this feature is that HotJar will show you where the average fold is for users. This is the bottom of the user’s browser screen and it is important to make sure your most important content is above that fold. All three types of heatmap are separated into different device types as well: Desktop computer, Tablet and Phone. This lets you see how people interact with your website using different devices. The data can be very different between a computer and a phone! This is my favourite HotJar feature! As said in the name, HotJar will actually record real visitors to your website. The recording will show exactly where their mouse is moving and where they click. The useful thing about seeing where a person moves their mouse is that as they move the mouse, their eyes will most likely be following where the mouse is going. This means you can find out what parts of your web pages are drawing in their attention. By knowing this, you can think about what is making them look at that part of the page and try to apply that same thinking to the rest of your website: Was it a bright colour? A catchy headline? A smart graphic or photo? You can also look at which other pages people visit on your website, how far they scroll down and where they leave your website. If you start noticing that people are often leaving from the same page, there’s something to be improved upon. 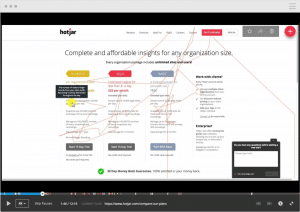 Lastly, you can let HotJar track how people are interacting with the forms on your website. This is particularly useful if your form has multiple fields to fill out, as you can potentially see where people are losing interest. It’s all very well and good to gain a person’s interest so that they want to enquire, but if they lose interest before completing the form, that’s lost revenue. From personal experience, HotJar once showed me that a very high percentage of people were dropping off a form at the same point. I then took a deeper look by viewing a few recordings to find that the form on the client’s website had specific criteria set out for the phone number section of their form. It turned out that the criteria had accidentally been set so that users had to give a valid email address in the field which asked for a phone number. Needless to say, users found it confusing. Rather than waste time trying to figure it out, they’d just leave the site and get a quote from somewhere else. This is an example of Form Analysis. Note the number of people who leave the page without interacting with the form. Perhaps this form is too far down the page? On the free version, the biggest drawback is that you can only set up heatmaps for three pages on your website. I recommend your homepage, contact page and most popular service page. Your homepage is often the first exposure people have to your website, so it is important to collect lots of data here. Your contact page will be where people make enquiries most often, so you’ll want to make sure people find it easy to make an enquiry. I will assume that the service pages on your site all follow a similar template, with the content adjusted accordingly for each service. 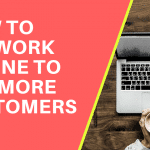 Therefore, the data you get from your most-visited service page should provide some indication of how people are interacting with your other service pages. With the recordings feature, you can only store 300 recordings at one time, and you have to reset the recorder after every 100 recordings it takes. However, 300 recordings is actually quite a lot of data, and you can set it up to record if the person is on your website for more than 30 seconds. That will get rid of a lot of useless 1-second sessions! To be perfectly honest with you at this stage, I recommend sticking with the free version of HotJar at first. But if you are getting lots of traffic, but very few enquiries, I then recommend getting a paid subscription. At just €29 per month, I think it’s quite cheap for unlimited reporting. That way, you can really find out why your visitors are leaving. Again, this is a great tool to use alongside Google Analytics. Just as a final note, the one feature of HotJar I didn’t mention was Funnels and I left that out because Google Analytics does funnels much better! How Can I Set Up HotJar? First, you need to sign up to HotJar. 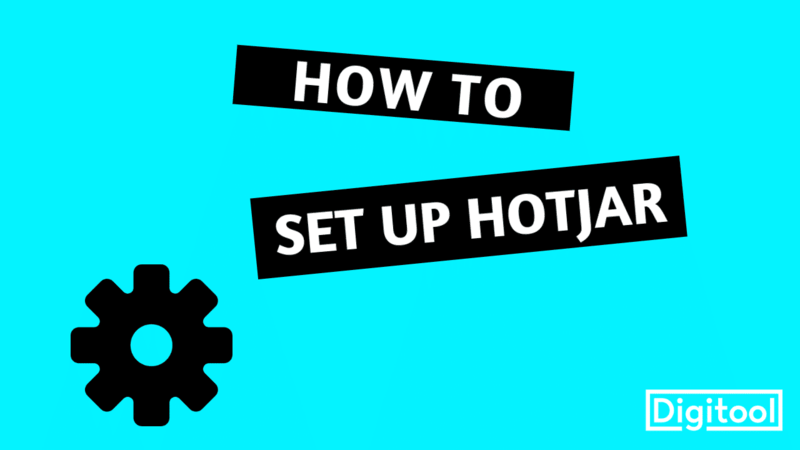 Now for setting this up to your website: There are two main ways in which you can set up HotJar. Which way you do it is down to how you set up Google Analytics. At this stage, you’re good to go! You can click the Tracking Code button on HotJar and use the Verify Installation option to check it. Give this information to your webmaster and ask them to paste the code between the HTML Head tags on your website. Then you’re set and ready to start creating your Heatmaps and Recordings. I wish you the best of luck with your data collection!